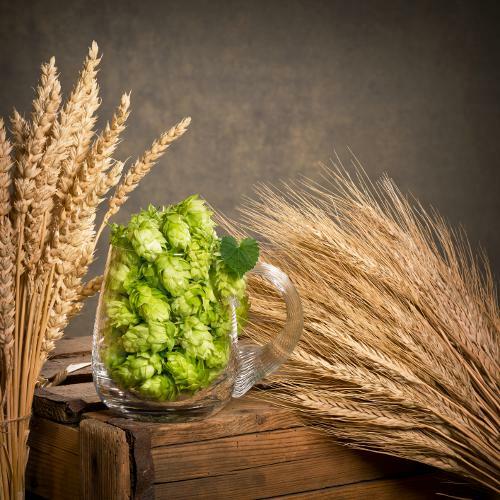 Homebrewing is a great way to source beer that cannot be found anywhere else and it gives you the opportunity to add your twist to any conceivable beer style. To make great beer as a homebrewer, you do not necessarily need lots of experience or fancy equipment, but be forewarned that both will most likely be in your future once you catch the homebrewing bug. Brewing beer is a labor of love thus the first step to homebrewing is to have a passion for beer and some extra time on your hands. If you are reading this you probably already have the passion, but there will be times during your homebrewing experiences that will be trying and you might even consider giving up your homebrewing hobby. Trust me however when I say that if you stick with it, your mishaps and challenges will turn into knowledge and you will become an even better homebrewer that will be rewarded with even better beer. As for time, if you want to be an all-grain brewer the brewing process will take most of a day when done properly which includes cleaning, setup and dealing with minor mishaps. In a perfect world an all-grain brew session should take about 5 hours, maybe a little less. Extract brewing takes considerably less time because the mash, sparge, and lautering process has already been completed for you. I have no personal experience with extract brewing, but I am told by those that have, a typical extract brewing session runs about two and a half hours with cleanup included. Extract brewing will take longer however, if you also steep grains in your extract brew in which case you will need to add about an hour. But wait, the work is not yet done. Regardless of your brewing method, you will also need, periodically, to take samples of the fermenting wort to determine when fermentation is completed, you might need to dry hop, and you will have to bottle or keg the beer once it fermentation is done which also takes time. The good news is that the processes after brew day do not usually take much time and you will have several days of rest from homebrewing in between. 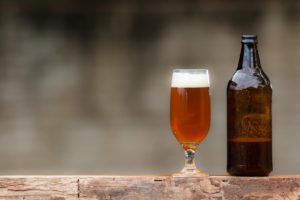 The second step to becoming a great homebrewer is to learn from others that have a lot of experience homebrewing and you really should utilize more than one source because there is more than one way to successfully brew great beer. I would recommend first reading the latest editions of Charlie Papazion’s: The Complete Joy of Homebrewing, and John J. Palmer’s: How To Brew: Everything You Need to Know to Brew Great Beer Every Time. Both books cover just about everything you need to know about homebrewing. Also, use the Internet and search for “DIY” and “How To” videos that show the different processes in making beer. A word of caution though, just because it is on the Internet does not necessarily make it a great idea. So before you boil your yeast to sterilize it before pitching it in your freshly made wort just because you saw some dude doing it in a video, get another opinion from a reliable source. The best way to learn of course is to help someone who has more experience than you to brew beer. The third step is to plan every detail as best you can in advance of every brew session because timing, missed steps and missing ingredients or equipment can greatly affect the outcome of the finished beer. You will need to choose whether you want to extract brew which requires less equipment and time or jump right into all-grain brewing as I did. Once you choose a brewing method, you then need to make a list of equipment and ingredients and verify that you can get everything from your selected source. To figure out what you need ingredient wise, you first need a recipe and for your first time you might use someone else’s recipe that is possibly a clone of your favorite beer. Using a clone recipe will help you learn how to dial in the flavors that you are after or alternatively you can modify the clone recipe to make it your own. The fourth step is to source your equipment and ingredients and to have them on hand prior to brew day. There are many online and mail order homebrew supply stores that can supply you with everything you need from boil kettles and fermentors to hops and yeast. The one I tend to use is: www.williamsbrewing.com . Do not forget about buying locally either, you might be surprised and find out that your local health food store or even hardware store also sells homebrew supplies. Now don’t jump the gun and buy any of your equipment or ingredients just yet, you need first to find a source for everything you need which might mean using several different sources . If you do have to use more than one source, you might discover than one has a better deal or a lower shipping charge for one or more of the items on your list than your preferred source that is out of stock of that one item you need. Furthermore, you might be forced to make substitutions on things like hop varieties or even on equipment if you cannot find a satisfactory source. If you find yourself in need of a substitution, hop on the Internet and search for what you are looking for and add the word “substitution” or “alternative” to the end of your search query. For hop variety substitutions, search for “hop substitution chart”. Using the Internet you can even find ways of working without a certain piece of equipment such as my brew partner and I did on our first brew. We did not have a wort chiller to cool the wort after flameout, so after reading about a solution on the Internet we filled gallon re-sealable freezer bags with water the day before, froze them, sanitized them just before use and then floated them in the wort to cool it. We did get an immersion chiller for the next brew, but as it was winter and the garden hose was frozen, we found a solution on the Internet that consisted of using a pump to re-circulate ice water through our immersion chiller. Not wanting to pay for an expensive pump, I bought a submersible pump meant for re-circulating water in a landscape pond and used it to re-circulate water in a six gallon bucket full of ice water though our chiller. This method works so well that we even use it in the summer time. A neat hack with this method is to use three buckets. The first bucket has the pump and ice water in it. The second is empty and you fill it with the water coming out of the immersion chiller when you first start chilling the wort. The third bucket has more ice water in it to refill the bucket you are pumping from. After the second bucket is nearly full, start recirculation the water into the bucket with the pump and ice water in it. The bonus is that you not only use less ice but you also get to keep the second bucket that is now full of hot water for cleanup at the end of the brew day. Since you will have a ton of things to keep track of, I highly recommend using an online brew day planner / recipe builder / calculator such as brewersfriend.com, which just happens to be the one that I use. I have tried other online recipe builders, but Brewer’s Friend has been the easiest to use and most accurate at determining original gravity readings, strike water temperatures and other calculated results. 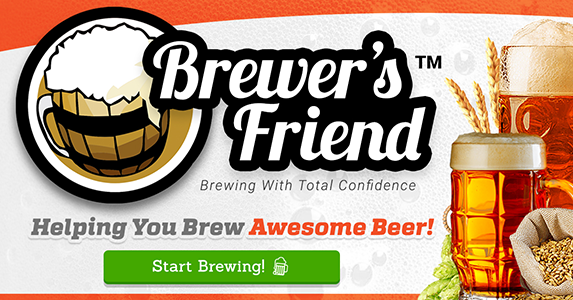 With brewer’s Friend, after you have entered in your recipe you can create a “Brew Session”. The Brew Session function creates a list of things to do and when to do them called “Brew Steps” which are tailored to your recipe. It also gives you a place to log your gravity readings, a place to take notes, tells you your water requirements e.g. how much strike water, sparge water and a whole lot more. With Brewer’s Friend you can even keep an inventory of your supplies and create a shopping list for what you are missing. If you do not have access to your computer where you brew beer, no problem, they have an app for your Smartphone that syncs with your premium online member account. To really get a feel for all the features that Brewer’s Friend has to offer you need to go to their website, open or create a recipe and play with it. So long as you have a passion for beer and you keep homebrewing, you will always learn new things along the way. This is because there will always be a new recipe, piece of equipment, technique to try or a mistake that was made that you want to fix which almost inevitably leads to yet something new. Homebrewing is meant to be a hobby, an adventure and most importantly, fun, so ensure that it is.